David Le/Gloucester Daily Times. 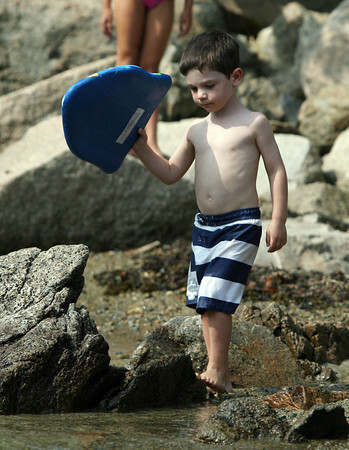 Leo Rose-Levin, 4, prepares to go swimming with his styrofoam board at Plum Cove Beach on Thursday afternoon. 8/18/11.